The school was originally built in 1935 and is set in spacious grounds in Edgware, Harrow and borders the boroughs of Brent and Barnet. The Junior School occupies the first floor of the building and shares the site with the Infant School. Stag Lane Junior School is a mixed school for children from seven to eleven years of age, when they move on to local Secondary Schools. This transition is smooth and easy as we have close links with Canons High School, our local school, as well as other local High Schools. We are proud to be a Rights Respecting School and take our responsibilities very seriously. All staff work hard to uphold the rights of the child and help them develop into confident, thoughtful individuals. We are thrilled to have recently been re-accredited with the Level 2 Rights Respecting School Award, which is prestigious and a challenging one to achieve. There are currently thirteen classes, three in each of the year groups 4 to 6 and 4 in Yr3, as the school is being expanded into 4 form entry. 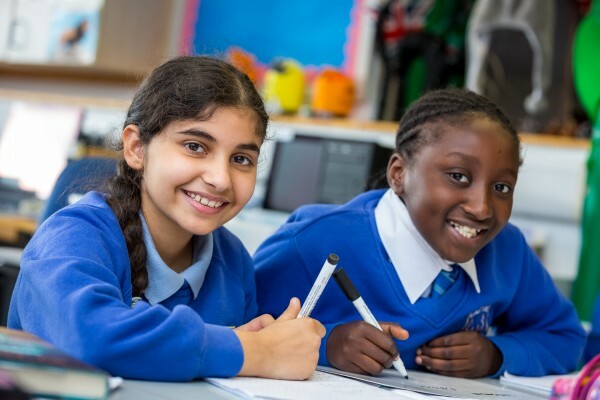 We provide an exciting and stimulating environment for learning within a happy and caring atmosphere and we aim for every child to enjoy their time with us and reach the highest standards of personal, social and intellectual achievement. We are always pleased to see visitors, especially parents, and the Associate Headteacher or Headteacher are happy to show you round the school. Please telephone the school for an appointment.